This is the style your shoot I was going to post a couple of weeks ago. I totally luuuurve this colour combination – it’s so fresh and vibrant but without being too over the top. This family read my mind though on the colours so I thought I’d wait a couple of weeks to post it!! Again, I think everything is from GAP – I really apologise for always using them, it’s just easy for me!!! 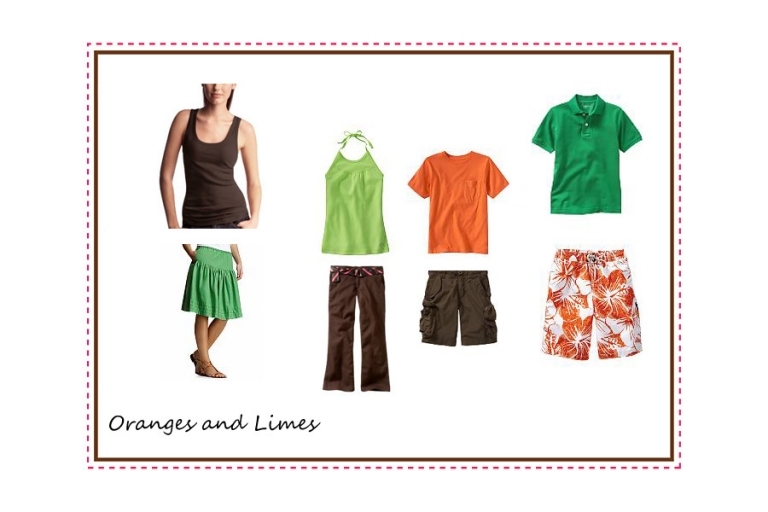 Please use this only as a guide for some clothing inspiration and shop around for complementing colours – how bizzare would it be if 2 consecutive families turned up in the same GAP outfits! !